Cinderella. Mulan. Snow White. Jasmine. When my children were small, Stacey, a family friend lived with us. Stacey was a collector of Disney movies so for several years my kids felt like they had their very own Blockbuster under our roof. They loved nothing more than to knock on Stacey’s door and beg to borrow a movie. Of course, the girls always chose the princess flicks. Growing up The Wonderful World of Disney introduced me to the world of princesses, but a girl was lucky if these movies came on once a year! We were forced to use our imagination; fill our playtime with ideas of balls, gowns and princes; images we’d gleaned from books. I’m not all that sure that the princess saturation in this generation has really done our girls a benefit. In fact, the word “princess” in our house is now a negative term. “Princess” refers to a girl who needs to be catered to; have every whim met when and where she wants; a girl whose ego is bigger than it should be. Have we done our girls a disservice and created a princess problem or is something else going on? I texted this passage to my son yesterday. He,too, needed to be reminded that the need inside of him for significance is a God-given need; one He is waiting to fill; one only He can fill. Our girls need this reminder too. Gently, we should remind them that true significance comes when we find value in being not only a part of God’s amazing creation, but part of His plan to bring His perfect love to imperfect earth. We find that worth when we fill our hearts with unconditional love, so full, we cannot help but spill over onto those around us. Friend, are you full and spilling out today? Some days, (or some nights like last night), what I spill out is not so pretty! But as you and I become wiser women, there will become more and more days where we are spilling out of our hearts the overflow of His radical love. The more our kids see us finding out significance in being known by Perfect Love, the more they will know “being a princess” is not in what we do, how we look or who we know. It’s in whose we are! Looking for a resource to help you do that? Purchase a copy of “His Revolutionary Love” or “Devotions for a Revolutionary Year” today and receive $75 in additional free resources! Just email your receipt to Lynn@LynnCowell.com and I’ll take care of the rest! Speak significance over your child today! 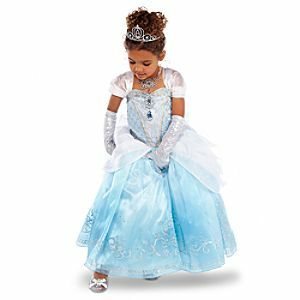 “being a princess” is not in what we do, how we look or who we know. It’s in whose we are! – so true! There’s a needed message. Thanks, Lynn. Help me, God, to show her how highly valued she is so that she’ll value herself more. You’re welcome Helen! It is so hard to pour this in each day when the world speaks such trash into their hearts! That is why I read God’s word to my girls over breakfast each day. I wonder if that would work for you too? Thank you Lynn! We are naturally born “princesses” because we are daughters of the one and only King! How important it is to instill that in our daughters! How I wish that I had known that when I was a teenager. My daughter (13) has her first boyfriend. She seems so young to be going through this, but it’s a wonderful boy that we’ve known him and his family since kindergarten, so it seems ok. However, I’m still naturally worried that he is the one making her feel like a “princess” (because he does!) and that if/when the relationship changes, she will forget that she still is a princess. I have ordered your Revolutionary Devotional book and am anxiously waiting it’s arrival!!! Thank you for all you do to make us feel like we are less alone in being MOTs! I hope you and your girl enjoy “His Revolutionary Love”! Make sure you click on my “freebies” tab to get the leadership guide and free resources to go with the book. Amen, Lynn, your words are beyond truth today. So glad they were helpful to you, Ginger! I saw a tall young man who could be the Dad of your princess in the picture in WalMart last night with the costume tucked under his arm. I could right pages on what I thought. This man returning from work to his little “princess” a week before Halloween to show her he loved her. She may not be a princess to others, but she was Daddy’s little princess. When I or my daughters are not acting like Daddy’s little princess I am glad that my “Daddy-God” has grace sufficient for the trail I am or the trails I endure.